Someone is smuggling secrets out of the Kennewicketts' lab and sabotaging their experiments, putting everyone at the Amazing Automated Inn at risk. In pursuit of the villains, the family of scientific geniuses board their dirigible and take to the skies. Together with their robotic staff and the inventor Nikola Tesla, they must face murderous sky pirates, cross the Alps in a giant mechanical spider, and defy the perilous pigeon Iron Claw and the malevolent magician Madini once more. 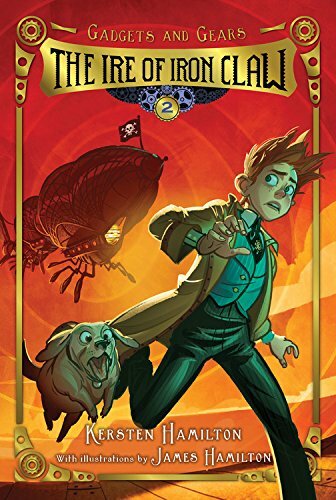 Will boy inventor Wally and his daring dog, Noodles, be able to defeat the evil Mesmers and their minions a second time? History and technology collide in this fast-paced series narrated by a daring dachshund and brimming with mad science.